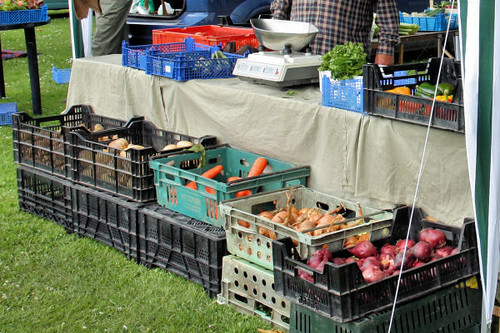 This is the first article in an occasional series about the farmers' markets in my area, also highlighting the Local Food Advisor. 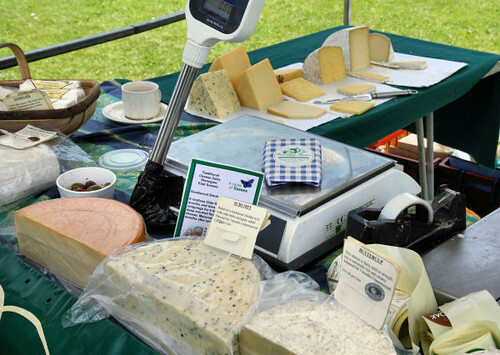 Local Food Advisor is a wonderful website with a wealth of information on finding local food in your area of the UK. Just type in your postcode to find your nearest farmer's market, or look for award winning producers, local food restaurants and even vegetable box schemes. 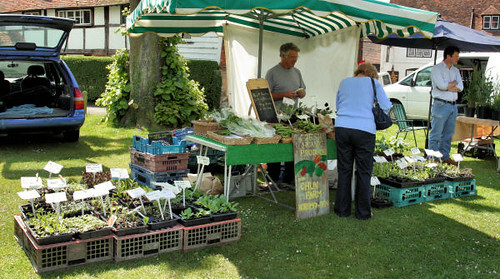 Horsmonden Farmers' Market, Kent is a bi-weekly market that is held on the village green in the spring and summer. During the winter months, the market can be found in the newly renovated village hall. It was started by three local mums and is now in it's 3rd year. 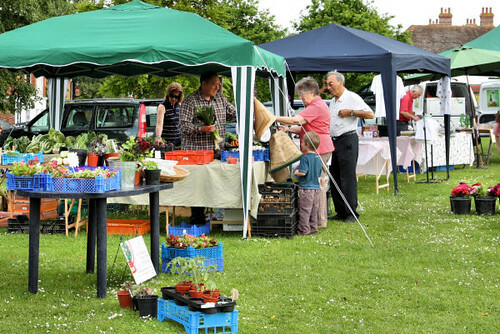 There are around 25 stalls selling local produce, with occasional and seasonal stallholders popping in at various times of the year. 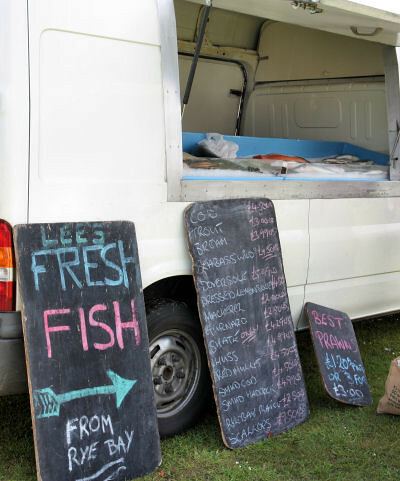 There is a great range of produce, including breads, meats, fish and vegetables - there is even a refreshment stand operated by a different local charity every fortnight. All the produce on the stalls is set on ice to keep it fresh and cool. 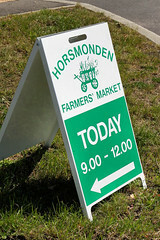 For more information on Horsmonden Farmers' Market, visit their website or the Local Food Advisor website. Here are some of the stalls that I visited and their produce. 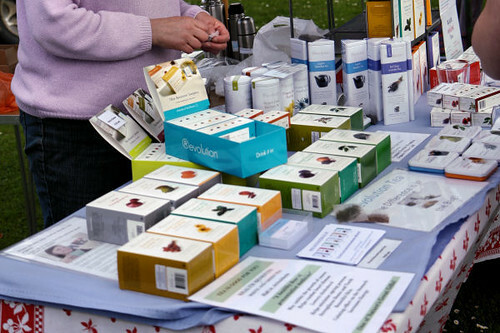 I've put the stallholders websites where I can, but some stalls haven't got theirs up and running yet. 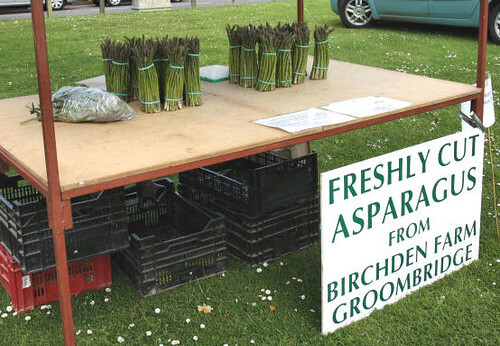 First stop was the Birchden Farm asparagus stall. Just a week or two left in the British asparagus season so I made the most of it and bought a large bunch of the thin stemmed asparagus. Of course the tea isn't locally grown, but the Revolution Tea company is just in the next county of E. Sussex. 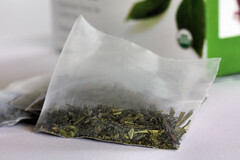 The tea bags are re-useable, made from 100% biodegradable infuser bag, filled with full-leaf teas. You can get 3-4 cups of organic tea from them. I bought a box of the green tea. A selection of Mediterranean olives, consisting of garlic with herbs and chilli, semi-dried tomatoes, artichokes, antipasto, smoked chilli jelly, rose harissa and pesto, from Milbank Olives. 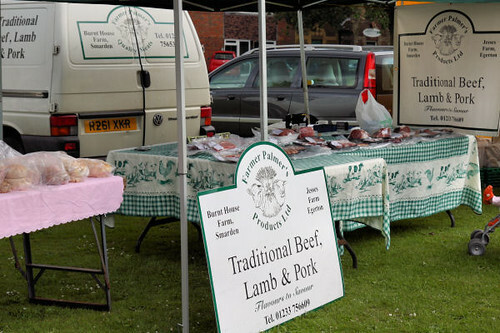 Traditional top quality beef, lamb and pork from Farmer Palmer's Products. If I had to choose a favourite stall it would be Stratta. I could spend a good hour trying all their special fruit vinegars and oils. They are a lovely luxury, and once you have tasted them, you won't be going back to the supermarket stuff. I particularly like the raspberry vinegar, but they are waiting for this season's raspberries to make the vinegar, so I chose the morello cherry one. It is fabulous! 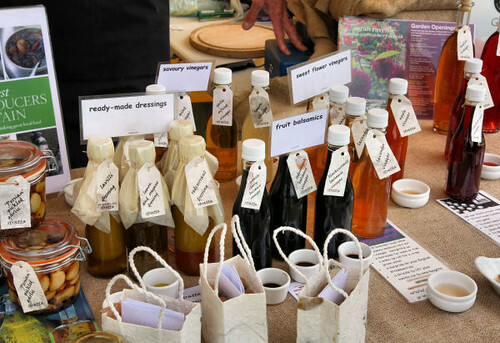 You can actually taste the fruit in these vinegars and you also get a leaflet full of recipe ideas. 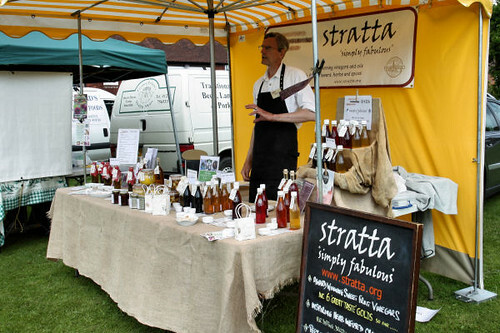 As well as sweet fruit vinegars, Stratta also produce fruit balsamics, savoury vinegars, herb infused oils, preserves, and ready-made dressings. Next stop was David Westphal's 'Scrumpy Sussex' Traditional Cheese Dairy. 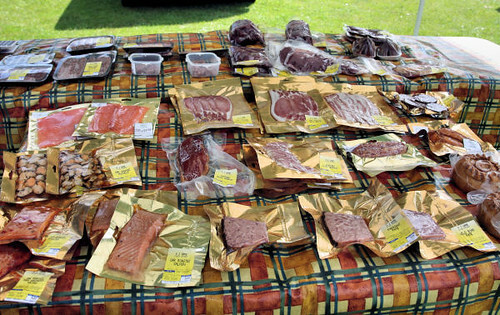 Traditional smoked meats, game and fish - from VJ Game. 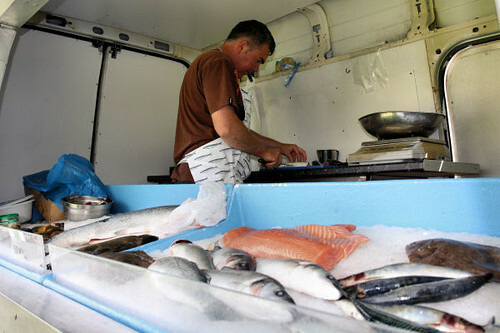 Fresh fish from Lee's Fish Tank, mainly selling locally landed fish from Rye Bay. Posh Puds, a great selection of home made puddings, cakes, savoury tarts, pizzas and pies. Fresh organic produce from Chun Farm, which is a Soil Association farm in Horsmonden. 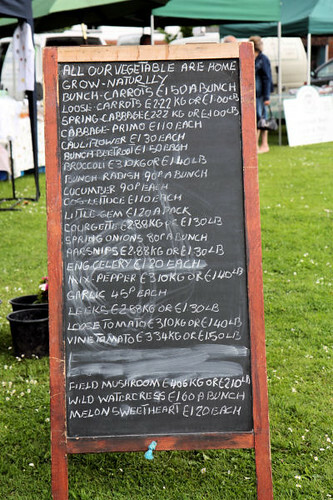 They specialise in a wide variety of organic salad vegetables, soft fruit, herbs and Kentish cobnuts, when in season. Such a great market. 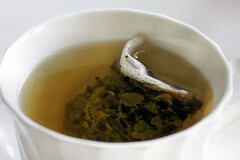 My favorite Revolution tea is Honeybush Caramel, if you haven't tried it you must. You will not even need sugar it is so nicely sweet naturally. What a lovely farmers' market! I love visiting farmers' markets when I'm traveling. It is always so interesting to see the local products. There are some lovely things offered at yours. Thanks for the tour! Can u how envious I am? What an exciting place to be in Nic! I love every stall; flavoured oils, vinegars, olives, posh spuds...WOW! 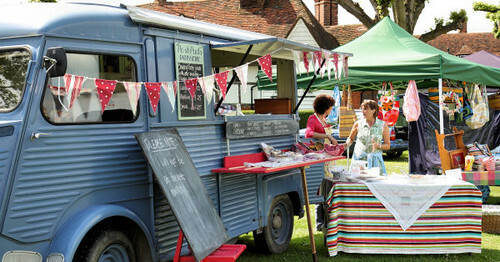 Love the idea of farmers markets! That looks like a great Farmer's Market Nic. Especially on a sunny day! 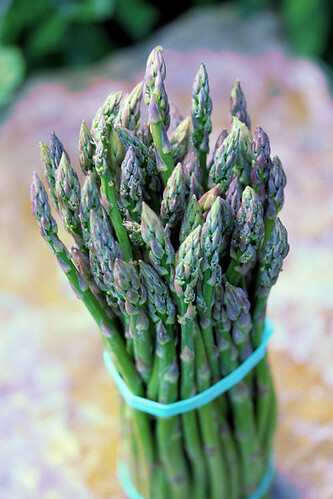 i've never seen asparagus displayed standing up like that--very clever. 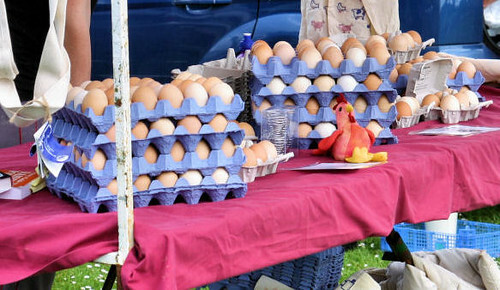 i love a good farmers' market, and this looks like it definitely falls into that category! I love farmers markets, yours looks fantastic! farmer's markets are the best! and I <3 all that cheese! That is a really nice farmers market. I just love getting all sorts of goodies at these markets. I conveniently get lost in my farmer's market, can you imagine that I would never emerge from this one LOL! Beautiful pics! Lucky you to have such a great market close by! think my favourite stall would be the pudding one! You're so spoiled with all these lovely farmer's markets around! This one looks not only quaint and beautiful, but extremely diverse for a mobile operation! Looks like a really great market! I love all the variety you have there! So much goodness! 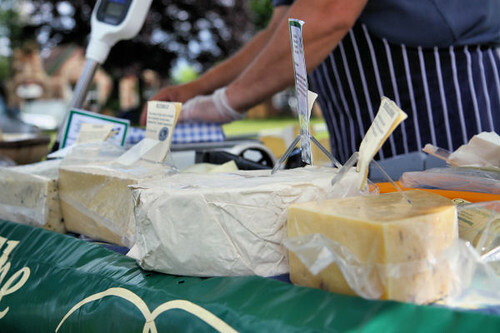 I love farmers markets too, we have one every Friday, the challenge is not to buy EVERYTHING!!!! Such a lovely market with great produce Nic.